Grand China Chinese restaurant will soon relocate from their current home in Buckhead to another nearby location. Currently located at 2975 Peachtree Road, the popular Chinese restaurant will soon move just a bit south to 2905 Peachtree Road, across from The Peach shopping center. Grand China has been in business since 1979. K.C. and Tse-Chih Chang already own the existing white brick building but leased it to Peachtree Bikes last year. Peachtree Bikes ownership was reportedly blindsided by the news a few months ago, just two days after their one year anniversary in the new space. K.C. and Tse-Chih Chang informed Mike & Elexa Wagaman they had 90 days to vacate the space. Fortunately for the Buckhead biking community, Peachtree Bikes has again scored a prime, albeit smaller and less convenient, space in the heart of Buckhead. In the coming weeks, Peachtree Bikes will relocate to a vacant space to the left of the Buckhead Theatre on Roswell Road. 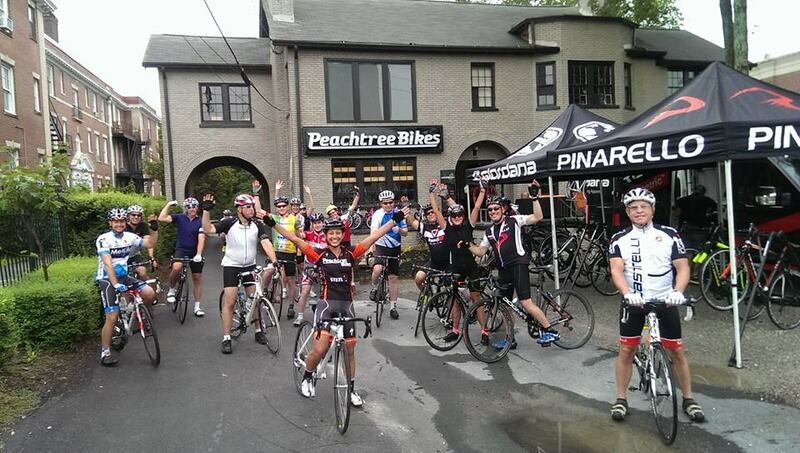 Peachtree Bikes hopes to be open in the new space in a few months. Existing Peachtree Bikes locations in Sandy Springs on Hilderband Drive and at Serenbe will remain open, likely with greater staff, to serve the needs of the community. 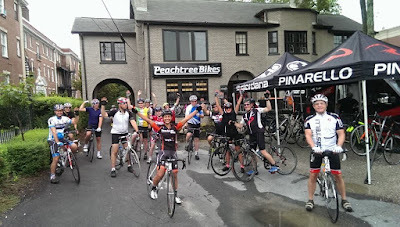 Peachtree Bikes moved to their current home last year after an after-hours fire in late 2013 destroyed their previous space and others, at 2823 Peachtree Road. Last year, apartment developer Terwilliger Pappas proposed a 20-story mixed-use development with some 300 apartment units, 470 parking spaces and 4,700 square feet of retail space on the site of Grand China and the adjacent Exxon. Word earlier this year was that the project had fallen apart as a deal could not be reached with the Exxon, but perhaps things have changed again. The local number for Terwilliger Pappas rings busy while an email for comment was not immediately returned. In related news, the original home of Peachtree Bikes is also slated for redevelopment. Following the demolition of Garden Hills shopping center earlier this year, Brand Properties recently announced plans for an office/retail development at the site. The project will have boutique office space. Brand is also pursuing high-end specialty retail / restaurant users for the space as well as a "high-end" bank. The commercial element of the project will consist of 2 two story buildings fronting Peachtree Road, with the specialty retail on the right side and the bank element to the left side. Fellini's and La Fonda Latina are not involved in the redevelopment and will reportedly remain in place. Mike & Elexa are good people. I feel bad for them. They've had a rough time with the Buckhead PTB location the last few years.